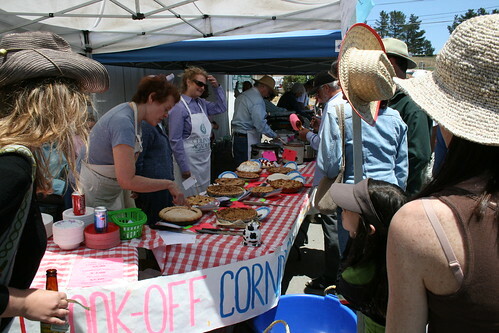 Steve Kroiss was kind enough to share these great photos from 2008 Western Weekend parade, which took place on June 8, 2008 at Point Reyes Station. One of the many aspects of the Point Reyes area that I enjoy is the progressive rancher feel of the area. 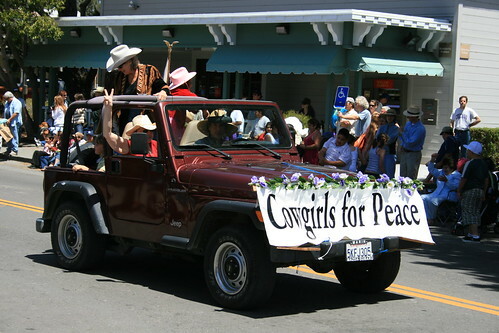 The Cowgirls for Peace photo represents this well. 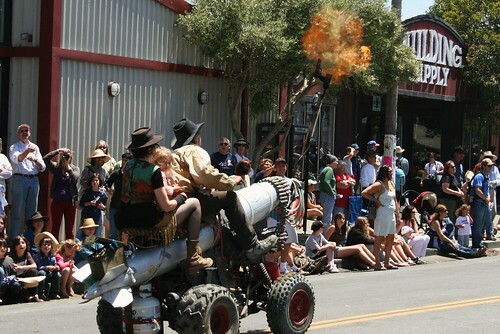 Apparently a flamethrowing, 4-wheeling, fire-shooting missile. Dr. Strangelove style with cowboy hats. 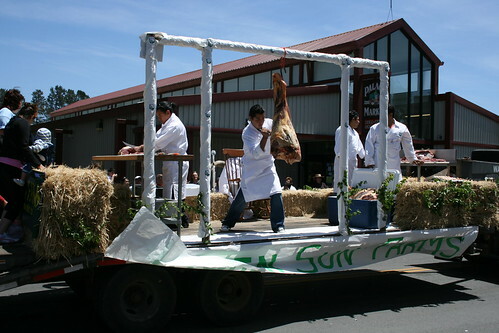 Meat carving demonstration by Marin Sun Farms. 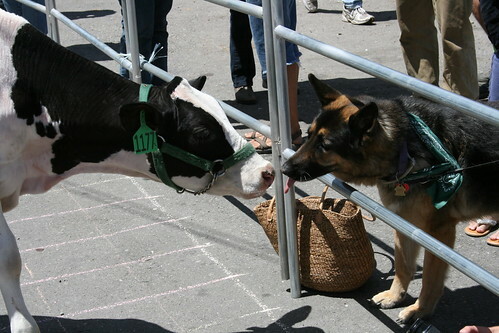 The rest of the photos look more like a pleasant rural community. Thanks again, Steve Kroiss for the photos.